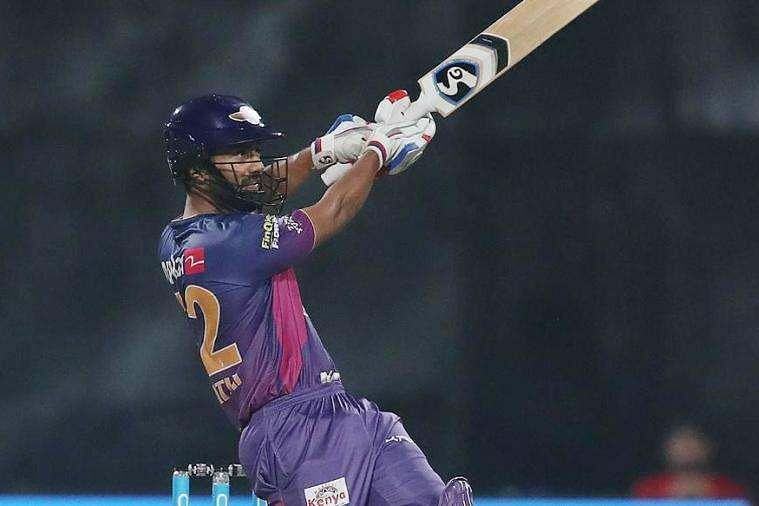 Will Rahul Tripathi shine again today? The Rising Pune Supergiant in the last few matches have gathered some good momentum and will look to carry that forward when they face the Sunrisers Hyderabad away from home in first of the double headers on Saturday. Ajinkya Rahane: The 28-year-old, who has in his career in the shorter formats looked the best when he has opened the batting, desperately needs some runs under his belt. The right-hander has made scores of 11,4,5,46 and 38 in his last 5 innings as a batsman and will look to make a bigger contribution to his team’s cause in the upcoming matches. Rahul Tripathi: The star in the RPS batting unit. The young man from Ranchi has really impressed everyone with the way he has batted at the top of the order, providing the rest of the batting line-up with the foundation they need when they walk out to bat. Steve Smith(C): The skipper has hit a slight dull patch off late, but having been in India for almost three months, he will look to quickly get back to rhythm and fire against the Sunrisers Hyderabad on Saturday. MS Dhoni(WK): IPL 2017 has been a mixed experience for Dhoni so far. While he did play the innings that won the game for his side against SRH last time around, her has not been able to do that on a consistent level and will look to gain that heading into the last leg of the competition. Ben Stokes: One of the best allrounders in this competition so far. Stokes in the last few games has shown that the RPS were right in spending 14.5 crores for him at the auction and he will look to continue putting forth match winning performances for his side in this IPL. Manoj Tiwary: The underrated performer in the Supergiant ranks this season. Tiwary has played the cameos that matter which have helped the side either chase a total down or get the extra few runs. Daniel Christian: The Australian all-rounder has found himself at the last stages of an innings while chasing and in fact finished some of the matches by hitting the winning run. He would do Smith a world of good if he can give him a few good overs with the ball and some lusty blows with the bat. Washington Sundar: The 17-yerar-old, slotted to fill the big boots left void by R Ashwin, has been impressive in the competition so far, particularly with his off-spin that has proven to be economical. Sundar may not still be the complete product, but with so may renowned names around he would surely be learning a great deal. Shardul Thakur: The Mumbai fast bowler has blown hot and cold in the competition so far and Smith will hope he gets the side a few wickets with the ball in the upcoming matches. Jaydev Unadkat: The left-arm pacer has shown a decent level of consistency in his bowling during the course of the competition and even won the side a game against the Mumbai Indians bowling the last over in a tight finish. Imran Tahir: The best bowler for the Supergiants so far. The South African continues to show what an asset he is in the shortest format of the game and Smith will bank on him to get a few wickets on Saturday. 0 Komentar untuk "IPL 2017 SRH vs RPS: Rising Pune Supergiant's(RPS) Predicted 11 against Sunrisers Hyderabad(SRH)"